Walk with confidence by wearing this classy top brought to you by Marie Claire. 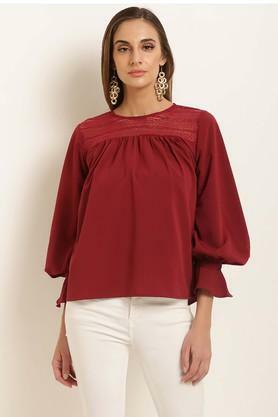 It features a solid pattern that renders it trendy, while the round neck and the bishop sleeves add to the design. 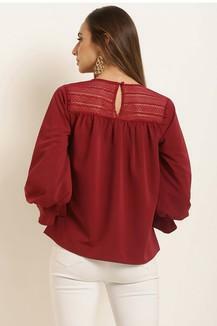 Moreover, it has been made of a supreme quality fabric that makes it comfortable to wear. 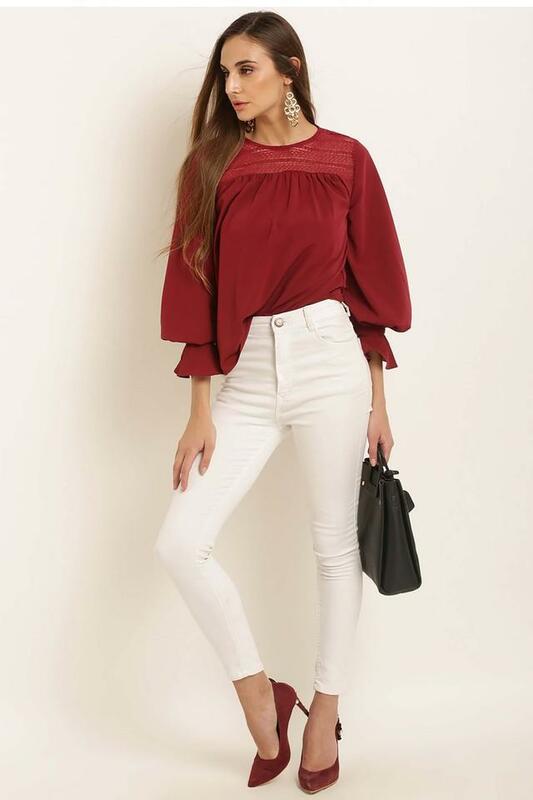 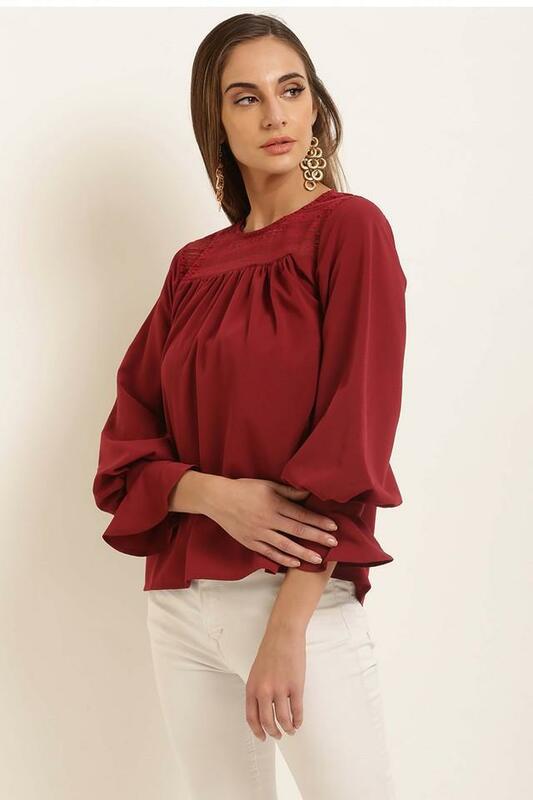 Revamp your clothing collection by adding this top, which is a perfect fusion of comfort and style. Wear it with a pair of jeans and heeled shoes to look smart for any special occasion.